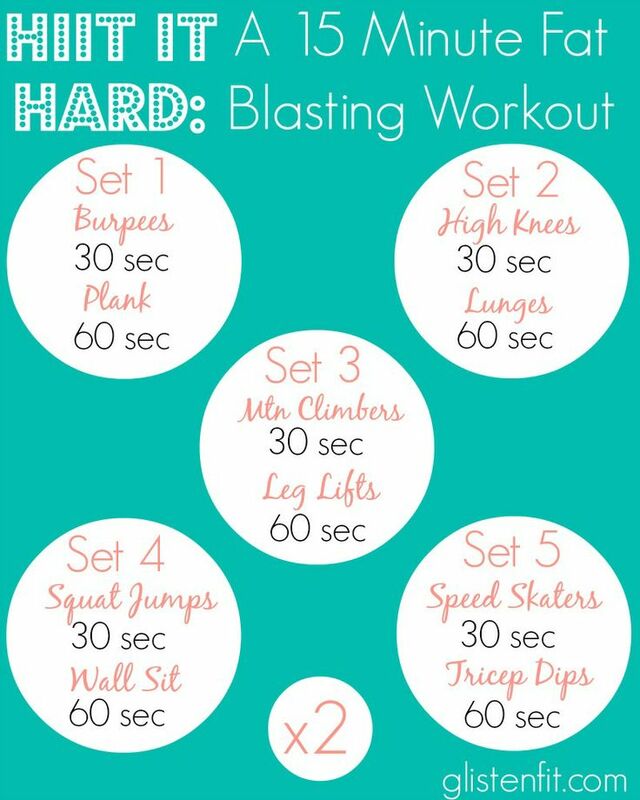 A 15 Minute HIIT Workout that blasts fat FAST. Can be done at home with very little equipment! The workout is made up of 5 sets that you’re gonna do 2 times through. Each set has 2 exercises, so that’s 10 moves total. Take breaks when your body needs them but try to power through each round without breaks. Take about a 60 second water break in between rounds…staying hydrated ALL the time is so important!